Hi! 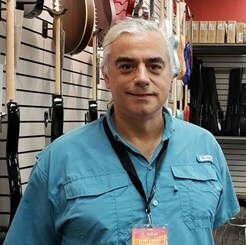 My name is Jim Dennis and I have managed and worked in music stores for over 30 years. I play guitar, bass, drums, organ and a few other instruments. I also have experience playing in bands and running live sound systems. I also produce and record music. Come by and say hello and let me answer your questions!